Bruce Dickson, deputy CEO of MAN Truck & Bus SAâ€™s truck division (right), hands over the ceremonial key for the 140 new MAN 27.440 truck tractors to Derick Reinhardt, chairman of the Reinhardt Transport Group. 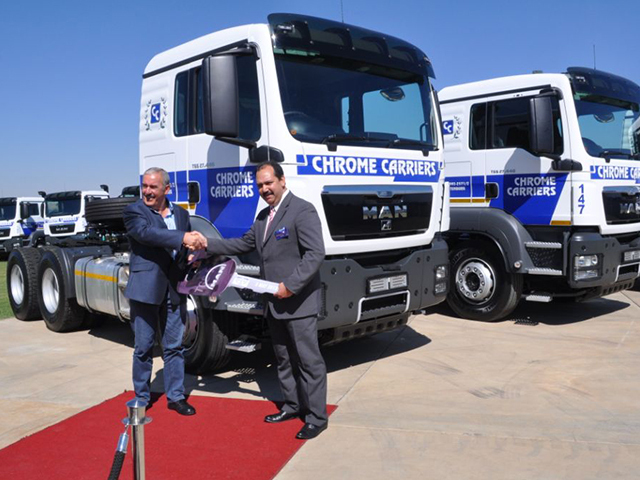 In a deal worth over R181-million, MAN Truck & Bus South Africa has started the delivery of 140 new MAN model 27.440 truck tractors to the Reinhardt Transport Group writes Dave Scott. The original company of the Reinhardt Transport Group (RTG) was started in 1982 in Nigel, Gauteng, where the head office is still based. Fast forward to 2013 and RTG now consists of three distinct companies – Reinhardt Transport, Amalgamated Bulk and Chrome Carriers – operating a total of 485 truck tractors with a matching 5% trailer reserve transporting approximately 4 million tons per annum. It’s a mighty big operation. The cumulative annual figures for this 485-strong massive national fleet are worth noting. RTG employs 570 drivers – there’s a 15% driver reserve – who travel 96,4 million kilometres every year consuming 53 million litres of diesel. That’s why diesel fuel price changes have such an impact on RTG’s operations. In broad-brush strokes, this means a fuel consumption of around 54.98 liters/100km per unit but of course, this will vary under the wide-ranging conditions of operation. It is interesting to note that under test conditions, the MAN 27.440 delivered a fuel consumption of 51,55 litres/100km using a 7-axle interlink combination. Despite the fleet size, the average age of the prime haulers is only 14 months while trailers average out at three years. Maintaining such a young average age fleet profile has enabled RTG to minimise both amortisation and maintenance costs which makes fuel the really big issue of the day for RTG. The new MAN fleet will operate on a 3 year/600 000km guaranteed buy-back contract with a warranty that matches this. All RTG vehicles are on a full maintenance contract – in this case MAN maintained for three years. You just have to admire how the good folk at MAN have put their arms around their customer as the only risk RTG really faces is managing that 81% fuel factor. And RTG takes a serious overall view of the power required for the task. Running mining payloads at maximum gross combination mass (GCM) requires power to shift the loads. Behind 440hp, the MAN 27.440 produces 2 100Nm torque that twists 35,5t average payloads uphill and along quite productively , it’s not the horsepower that does the work. At the Reinhardt Transport Group, trailers are replaced every four to five years with a current average trailer age of only three years. The impact of the RTG trailers on fuel usage is minimal when compared to the average national trailer condition. 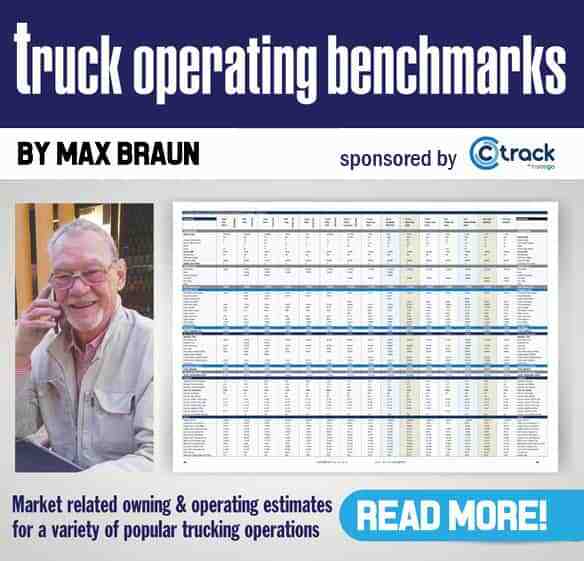 Trailers have an impact on fuel consumption and the FleetWatch Brake & Tyre Watch project has proved again and again that the national trailer fleet is badly maintained. At Reinhardt, the in-house maintenance focus is on their trailer fleet with truck OEMs caring for the prime movers. Add to this that trailers are replaced every four to five years with a current average trailer age of only three years, then the impact of the RTG trailers on fuel usage is minimal when compared to the average national trailer condition. “Drivers are incentivised on fuel consumption and then trained in-house at the rate of 120/month with focus on professional driving against fuel consumption benchmarks,’ says Steyn. To be selected as an RTG driver is also a process of careful screening. 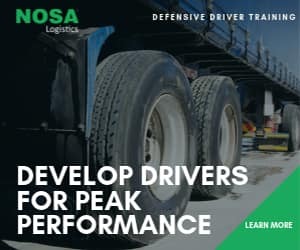 Out of 100 driver applicants regarded as suitable, less than 20 will be successful and then after two weeks of classroom training they go on to 6-month probationary period through an arrangement with a labour broker. Driver medicals are carried out by the mine medical staff where the trucks operate and new applicants are also treated to psychomotor assessments. The right person who is well-trained is integral to the fuel consumption equation. Finally, fuel-efficient driving is all about attitude. ‘˜I love my truck and I love my job,’ is the perfect attitude for a driver. In this sense, the MAN 27.440 is every bit a truck driver’s delight. Air-conditioning, automated-shift transmission, MAN electronic ‘˜Brakematic’ retardation and braking system, suspended cab and driver seat, radio/CD player and electronic engine management all combine to make a RTG driver’s task easier to concentrate on safely completing each mission with the minimum fuel consumption.